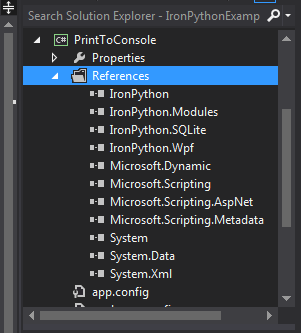 Is it possible to create a true windows application using only python and .net? The examples I’ve seen all use the console to demonstrate a ‘hello world’ application. 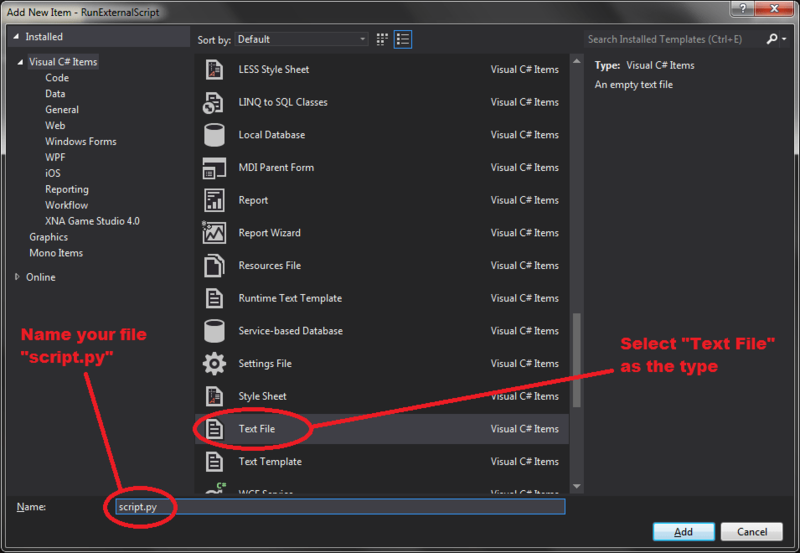 Or does one have to start with c# and then add python to make windows apps? Thanks for the question Ben. To make a windows form app using *JUST* strictly Python and .NET, sure, it’s entirely possible. If you have Python installed on a system, you can always just launch a new process pointed at Python scripts. In this example, I built up a WinForm application that uses IronPython. The point is, it’s not restricted to just console applications. If you want to get Python actually doing some of the UI work, I think things would start to get interesting there… I don’t want to say it’s impossible (it probably just needs a handle for where to render to) but I haven’t ventured into that territory. 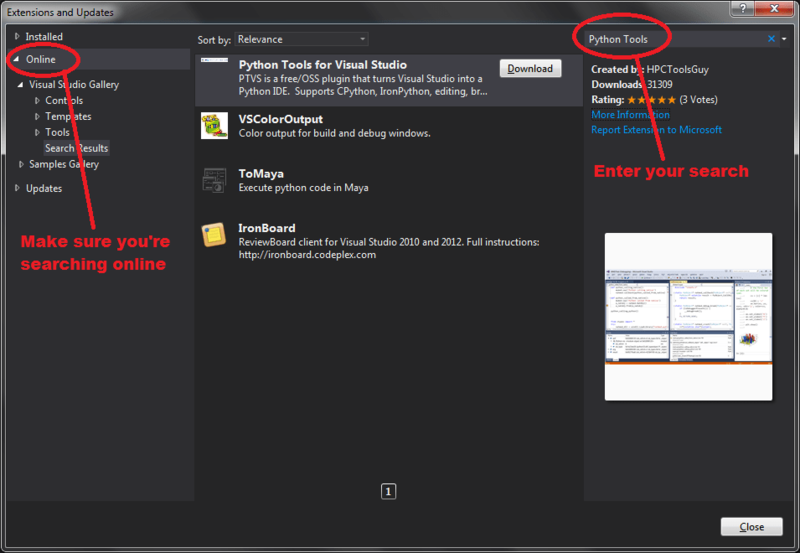 I have MSVS2010 Ultimate, but following your guide, no Python Tools are retrieved searching online. Do you know if I necessarily have to have a later version than 2010? I don’t want to leave you hanging or anything, but I’m not positive. 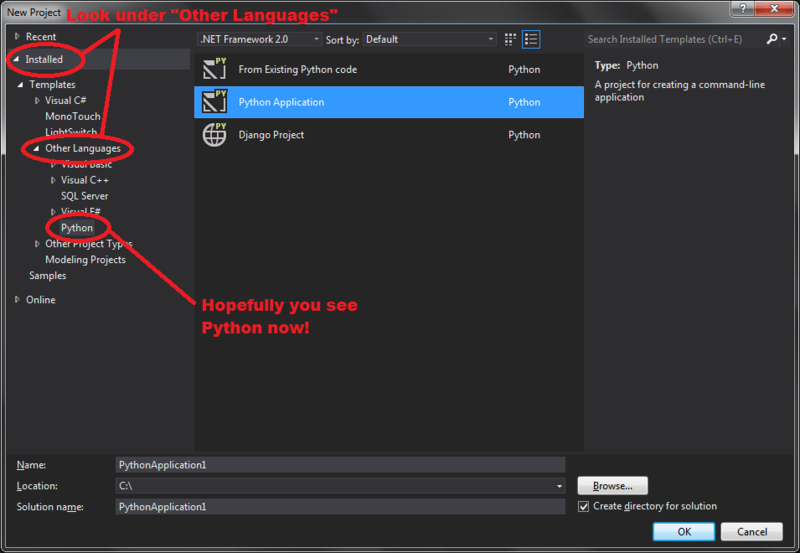 I think I recall reading that Microsoft has done a better integration of Python and Visual Studio in more recent times. So perhaps that’s totally replaced the original integration I wrote about. The only thing I can’t really advise is whether or not that particular download will be compatible with your product. However, I do think you’re probably on the right track! first of all thanks for your incredible and useful post. There is problem when I use “import numpy” in my python script file. although the package has been installed on python 2.7 I got error “can not find module numpy”.